Extra energy can always improve a workout. Depending on the product you choose, there are plenty of good choices to consider and in many cases, you have the ability to control the energy level improvements with the help of a pre-workout. Of course, this doesn’t mean that you can abuse pre-workouts in the sense that you don’t get enough resting time. But for most people, the extra energy can prove important, especially when they need to improve their own results with physical performance. There are different ingredients which can come with extra energy and this is what separates stimulant and non-stimulant pre-workouts. Ingredients such as caffeine can be beneficial for some and hard to deal with for others. This is why each formulation can be different both in ingredients and quantities as well. With more energy and better focus, you should be able to have a better workout. This also means that you are able to find your own pace and work at an improved pace for you. This is different for everybody and this is why you can see better results when you know how to take the pre-workout. As with all pre-workouts, your body will eventually build a tolerance to the product and it will start to come with fewer results. This might be the sign that you need to stop the use of the supplement for a given period of time before returning to it for maximum benefits. With better results in terms of workout performance, you can use pre-workout for your own physical goals. If you aim to run further, you can use a pre-workout. If you aim to lift heavier weights, you can also use a pre-workout. If your aim is to train longer, you can also consider a pre-workout to give you the boost you need. Thus, the workout performance improvement can be different from objective to objective. Since you are able to train better and longer, you can also use the supplement for better weight loss results. Most products only offer an effect which works up to an hour. But with cardiovascular training, an hour can burn hundreds of calories. This is why a pre-workout can be a solution when it comes to burning body fat with intense cardio training. Keeping an elevated heart rate for a longer period of time can lead to a state in which your body continues to burn fat even an hour after your workout. In other words, the more you train the more you will burn body fat and this is where the pre-workout proves to be a great choice for many people who have the aim to reduce body fat percentage levels. Not many people know this but pre-workouts can also improve recovery rates. This is why they can be important when it comes to better results with your recovery. Caffeine can improve recovery rates. Added Creatine can also be seen as one of the ingredients which play a crucial role in recovery time. Since not all people are focused on recovery, those who train often know the importance of being able to reduce the resting time needed for your body to get back to its full potential before the next workout. Creatine is also one of the ingredients which can come with diminished results in time and it should not be abused as well as you will start to see fewer results with it in time as well. While there are no major side effects to Creatine supplementation, you want to ensure that you do not use the pre-workouts which contain the ingredient for the entire year if you still want to see its benefits at the highest level. When it comes to pre-workouts, there are hundreds of ingredients to consider. Some products come with ingredients which are based on different plant extracts. But most products are now made in a combination of various amino acids, Creatine, and caffeine. The Beta Alanine and L-Citrulline amino acids represent one of the best solutions when it comes to good overall energy levels. They are seen as safe ingredients as well and they can be the foundation for better energy with your workouts. Creatine is not used in all products but its complex role can come with different benefits for active people. It can help you improve strength and it can also be seen as a solution to improve recovery and energy at cellular level. 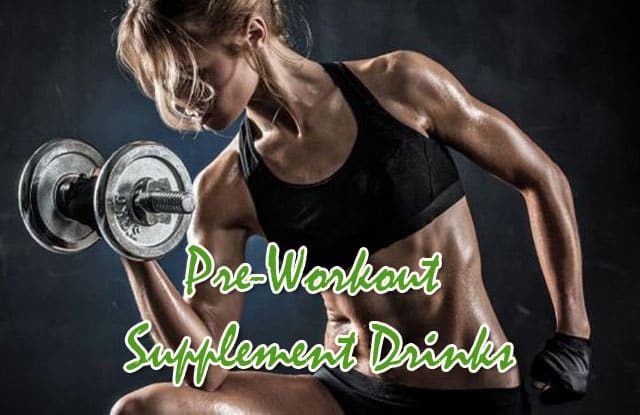 It is also the most studied ingredient in pre-workouts and can thus offer good benefits, even if they are not seen from the first day as it takes time for it to accumulate in the body. Caffeine can make or break a pre-workout. If you are a coffee drinker, then you should have no issues dealing with caffeine. It can represent one of the options you can follow when it comes to good overall energy and even improved focus. If you cannot handle caffeine, there are still thousands of options which use amino acids for alternative energy sources. Pre-workouts thus represents one of the most important elements when it comes to good overall physical performance. They are not mandatory nor should they be taken constantly. But from time to time, they can help you improve your own personal records or they can simply add the motivation your workouts might be lacking on certain days. With good overall results when it comes to energy and focus, pre-workouts can even improve your performance from a mental perspective as well.